To me, London Fashion Week means supporting younger designers and emerging talents, that’s what makes LFW so special to me. But once in a while, it’s nice to go to one of the big ticket, impossible to get into shows. That’s why I was over the moon to attend the notorious PPQ show this season. I received amazing front row tickets courtesy of Glacéau vitaminwater who are the official soft drink supplier to London Fashion Week. Front row means mostly unobstructed pictures, so enjoy. 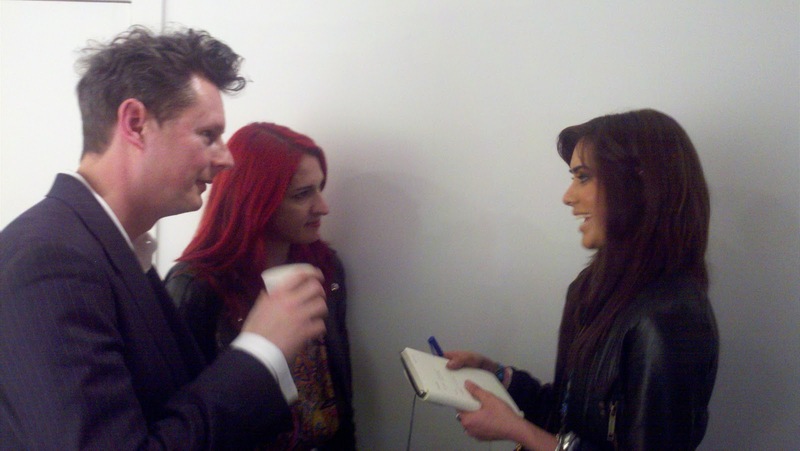 Me interviewing Amy and Percy of PPQ. Reena:Congratulations on another fantastic collection. What inspired you this season? PPQ:We were really inspired by history, in particular the Elizabethan and Jacobean eras. Reena:I absolutely loved the 90s hiphop soundtrack but it didn’t seem to be an obvious connection with the collection. Are you heavily inspired by music? PPQ:Yes, definitely. We loved the way it juxtaposed with the ladylike collection. Reena: Internationally, London is a bit of a wildcard with some editors skipping the first couple of days of LFW. What do you think of the London fashion scene? PPQ:London is a hub for young people who lead fashion. It’s the centre of street style, this is where it began. Everyone helps and supports you when you’re new and trying to progess. Reena:What do you see in the future for PPQ? PPQ:We want to continue ranges and collaborations with other people and definitely want to open another store in London. Glacéau vitaminwater is the official soft drink supplier to London Fashion Week – keeping fashionistas hydrated all week long. Great pics! I was supposed to be at this show and had to miss it – massive sigh! Very good post, i was interning at PPQ for the A/W11 collection and was working backstage on the day!